Have you ever noticed that Australians seem to exhibit a breezy, laid-back attitude? Their greeting and unofficial motto “no worries” seems to sum it all up. Maybe its the beautiful beaches or amusing animals like kangaroos and koalas – whatever the cause, Australians give the impression of relaxed, friendly contentedness. The passage from the Gospel of Matthew opens the rich and lengthy Sermon of the Mount. This Sunday we hear those remarkable words of the Beatitudes. These verses speak of the poor and lowly, the bereaved and the afflicted. And they call these folks blessed. It does not say that they will be blessed but that they are blessed. Jesus does not merely promise deliverance to those who endure the suffering. He sees something blessed in their current state. Given that our usual definition of “blessing” does not include death, poverty, and suffering, it is fair to ask how might this be possible? The other readings for the day offer clues to this conundrum. The ancient world lacked the kinds of social services taken for granted in our society. In that world, people depended entirely upon extended family for employment, protection, and care in moments of illness or emergency. And there were many persons who found themselves without protection, care, or aid: widows and orphans, the poor, foreigners, and those who might be marginalized by illness or disability. These folks had no earthly safety net. Through the mouths of the prophets the Lord made it clear that He would be their family - their protection. And the prophets pointed to the truth that Israel herself was poor and defenseless in a world of great militaristic empires. Just as the Lord defended Israel, so He called upon those with means to care for His family of little ones. The irony in this setting was that these vulnerable ones were often more faithful to the Lord than those who were “blessed” with health, wealth, and family connections. The very ones who might have been most grateful proved unwilling to share the bounty. In that insecure world, it was really fear that ruled the day. The rich accumulated treasure to assuage their fear of vulnerability and that same fear made them incapable of sharing - likewise with those who possessed other kinds of resources. The vulnerable, by contrast understood their dependence upon the Lord and trusted in the goodness of God. They had less treasure - and less fear. And so Zephaniah addressed people in a time of terrible insecurity – the great and terrible Babylonian empire menaced the people – and he must reveal that the elite with all their resources are fools. They think that they can avoid disaster by manipulation or by worldly means. It will be the poor and vulnerable ones – those who place their trust in God – that will survive and become the foundation for a later rebirth. This remnant will be delivered while the powerful will fall. Psalm 146 offers a similar picture of God’s gracious care for those at the margins of earthly power. This beautiful Psalm forms part of the conclusion to the whole collection of the Psalms – a fact that emphasizes the importance of its message. The Corinthians struggled with humility. It appears that they believed themselves the finest of Christians, rich in spiritual gifts. Paul had to teach them that critical Old Testament truth that they would never find glory by their own lights, but must trust in the Living God. And Paul looked to the Christ event as well. The great drama of salvation did not play out with a Savior who conquered and dominated – but One who gave Himself in loving fidelity to the Father. He Who was most powerful, most secure, walked reviled and rejected to a torturous death. 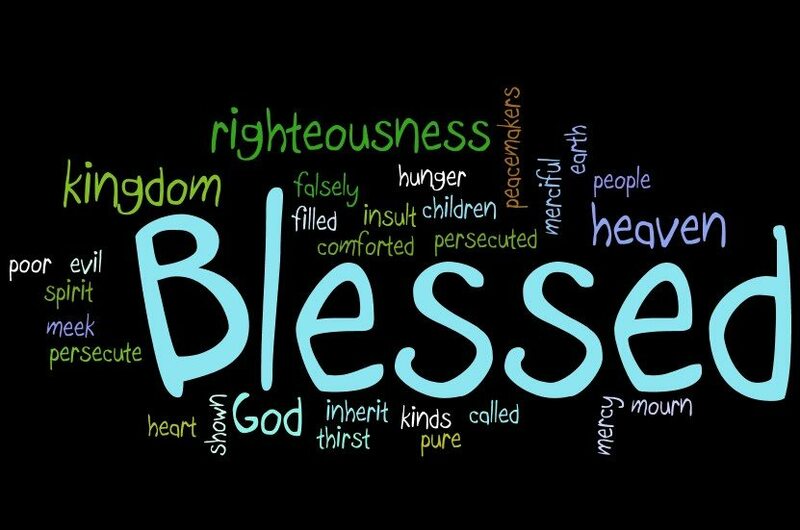 And so we return to the mystery of the Beatitudes – how is it possible to be bereft and blessed all at once? The most powerful response to this question is the person of Jesus Himself. His Beatitudes are not an impossible ideal or a promise that if you pay enough in suffering you will earn a great reward. His Beatitudes are a poetic summary of His Own life and ministry. He was poor and meek and afflicted. And He was blessed and a Blessing. He fulfilled Israel’s great vocation to give herself in trust to Divine Providence. This mystery of self-emptying fidelity is the life of the world.